We are just two miles east of the Pacific Ocean at the 40 year old "Campland on the Bay", that's Mission Bay. We crossed the Colorado River in Yuma and followed the All American Canal that irrigates a vast area of the Salton Sink, formerly a desert. At Ocotillo we left Interstate 8 and followed Historic Old US 80 almost to San Diego. US 80 was completed in 1927 and ran coast to coast from Savannah GA to San Diego. It was the route "that would never be snowbound". Near Yuma and again along US 80 there is a black line that runs across the desert. Finally, we figured it out. 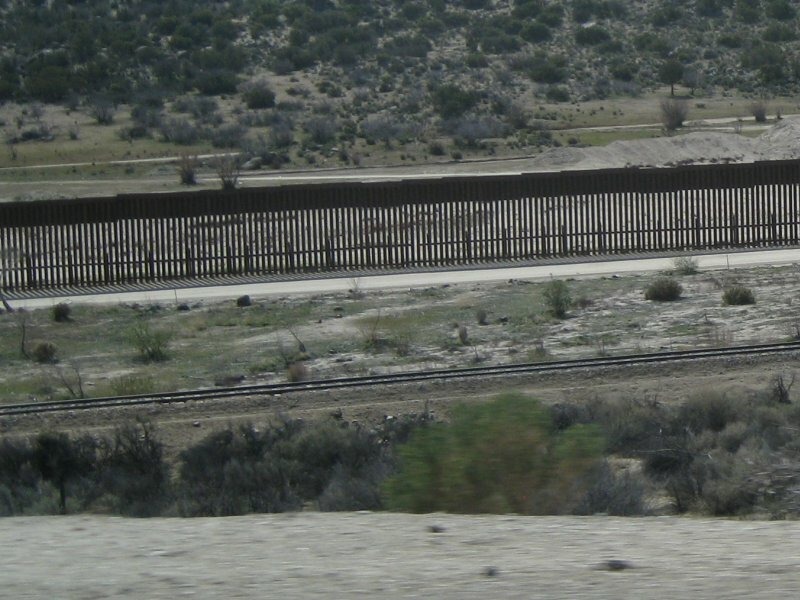 It is the US-Mexico fence to reduce the number of illegal immigrants that cross the border. It's not a solid fence but has gaps so wildlife can pass through (see photo). Tomorrow we have the day off and will tour the area.